Measurements: 2-3 Years: 21" chest circumference, 22" waist circumference, 14" sleeve, 31" from shoulder to the end of the skirt, cape is 46" long. 3-4 Years: 22" chest circumference, 23"waist circumference, 14" sleeve, 32" from shoulder to the end of the skirt, cape is 48" long. 4-5 Years: 23"chest circumference, 23" waist circumference, 15" sleeve, 33" from shoulder to the end of the skirt, cape is 49" long. 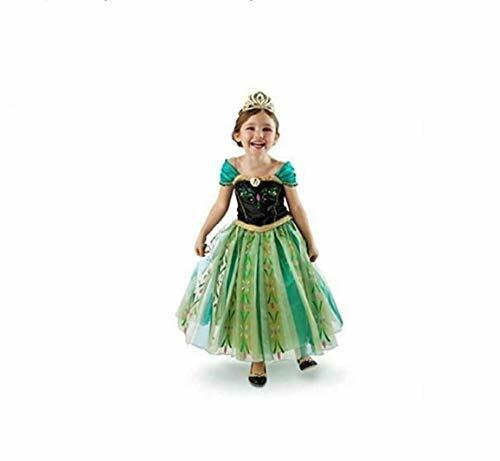 5-6 Years: 24" chest circumference, 23" waist circumference, 15" sleeve, 34" from shoulder to the end of the skirt, the cape is 54" long. 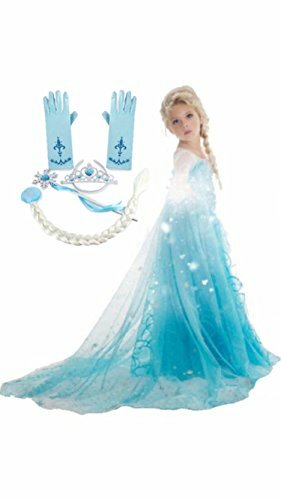 6-7 Years: 25" chest circumference, 23" waist circumference, 16" sleeve, 35" from shoulder to the end of the skirt, the cape is 54" long. 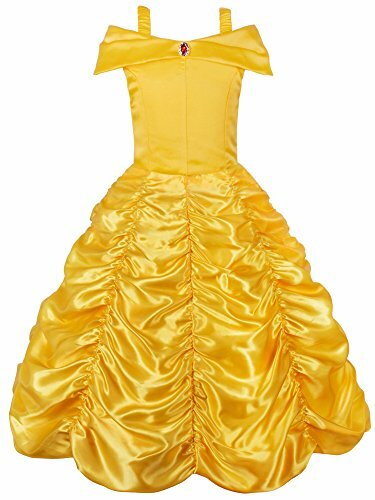 7-8 Years: 26" chest circumference, 26" waist circumference, 16" sleeve, 36" from shoulder to the end of the skirt, the cape is 54" long. 8-9 Years: 26" chest circumference, 26" waist circumference, 17" sleeve, 38" from shoulder to the end of the skirt, the cape is 54" long. The flowing sequin cloak adds movements, and the sequin and faux diamond decoration creates elegance and dignity. It has a little elasticity for a perfect fit. 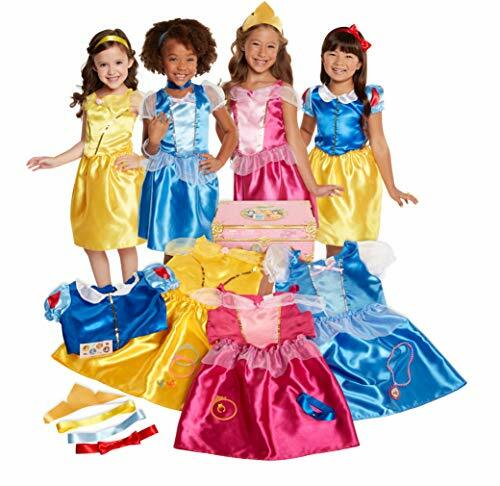 Romy's Collection dress-up princess dresses are perfect for playtime, theme parks, parties, pageants, and portraits. They are made with comfortable and non-itchy fabrics, completely finished seams and hems, and stretchy fabrics on the bodice to make sizes for versatile. All items are made with quality fabrics and guaranteed satisfaction. Imported. Hand wash recommeded. It is better to wash in cold water and do not wring,also dry in a shady place. 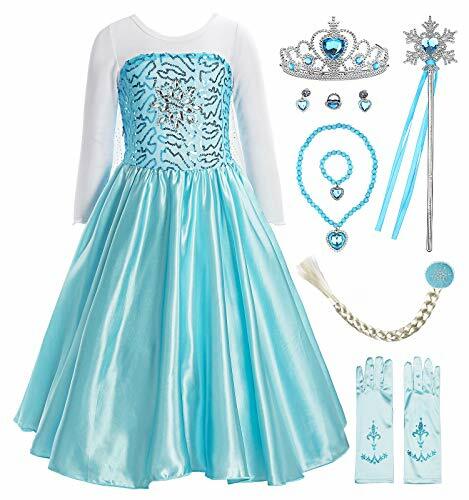 In every girls heart, she may have a princess dream. 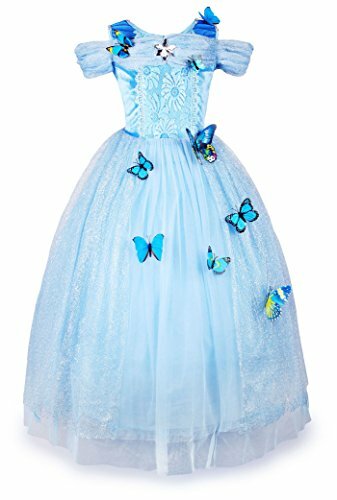 This is a beautiful infant baby tutu dress,your little princess will look like and feel like a real princess in this dress. 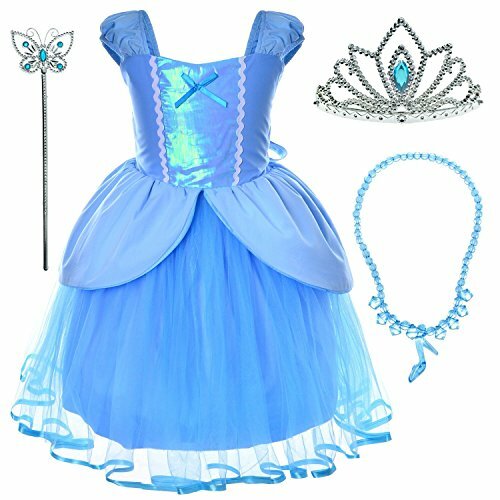 If she wanna dress up as a little mermaid ariel princess,princess anna,cinderella,rapunzel or snow white, these five styles costumes would be a nice choice to your little kids to own. They are very suitable for many special occasions and daily wear too. 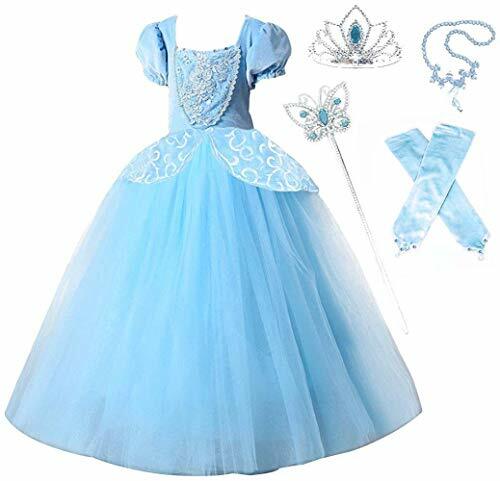 Size Information: Age 18-24 Months: Chest:21.3",Waist:21.3",Full lenght:19.7",Fit height:31.5"(80cm) Age 2-3 Years: Chest:22.8",Waist:22.8",Full lenght:22.0",Fit height:35.4"(90cm) Age 3-4 Years: Chest:24.4",Waist:24.4",Full lenght:22.8",Fit height:39.4"(100cm) Age 4-5 Years: Chest:25.2",Waist:25.2",Full lenght:23.6",Fit height:43.3"(110cm) Age 5-6 Years: Chest:26.0",Waist:26.0",Full lenght:24.8",Fit height:47.2"(120cm) There is 2-3% difference according to manual measurement.